*** Star Chart is now FREE! 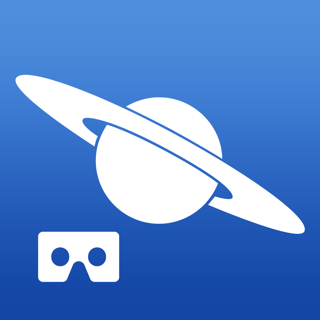 *** The top educational & augmented reality astronomy app - download and find out why over 20 million people use Star Chart! 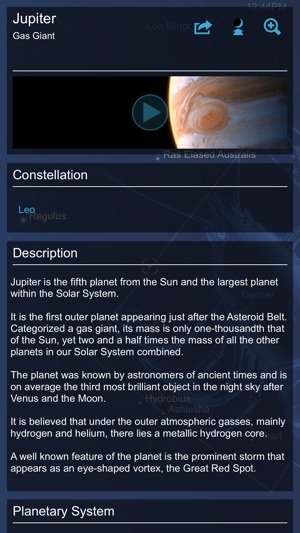 You can now have a virtual star chart in your pocket. Look through the eyes of your iPhone or iPad* to see a high-tech window into the whole visible universe. 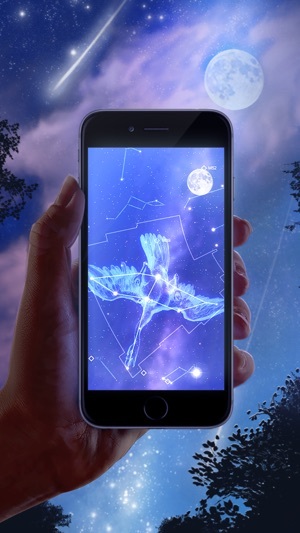 All you have to do is point your AR enabled device* at the sky and Star Chart will tell you exactly what you are looking at. Using state of the art GPS technology, an accurate 3D simulation of the visible universe, and a great deal of technical wizardry, Star Chart calculates – in real time - the current location of every star, planet and moon visible from Earth and shows you precisely where they are; even in broad daylight! Want to know what that bright star is called? Point your device* at it – you might just find out it’s a planet! Want to know what the night sky looks like to people on the other side of the earth? Well just point your device down! Want to know where your star sign is in the sky? Star Chart will tell you all this and more. - Just point and view. When you hold your device up to the sky, Star Chart will automatically start tracking your movements to match the sky *. - Alternatively, look around the sky using finger gestures – perfect for armchair astronomers! - In a single app of less than 30MB, Star Chart dynamically scales its visuals and capabilities across all iOS devices to meet the high end capabilities of a retina display iPad while also running smoothly on the earliest iPhones and iPods. - Accurately depicts all the visible stars of the northern and southern hemispheres - a total of approximately 120,000 stars! - Fly to and explore all the planets of the solar system, their moons and the sun all rendered in beautiful 3D with state of the art visual effects. - Using the powerful Time Shift feature, simply tap the time button and smoothly shift up to 10,000 years forward or backward in time. - Displays all 88 constellations, with constellation imagery based on the beautiful artwork by 17th century astronomer Johannes Hevelius. - Includes the complete Messier catalogue of 110 exotic deep sky objects. - Tap on anything in the sky and get the facts on what you are looking at, including distance and brightness. - Very powerful zoom function, lets you view the sky in extra detail, using intuitive finger gestures. - Fully configurable. 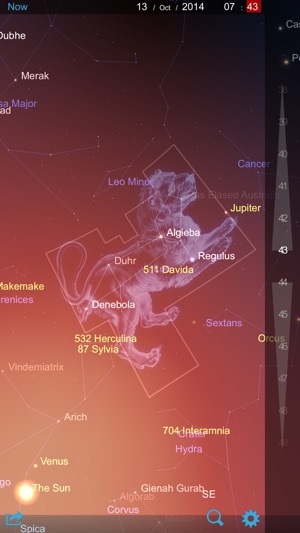 Star Chart displays only the sky objects that you are interested in. - Allows you to view the sky underneath the horizon. So now you can see where the sun is, even at night! - Manually set your location to find out what the sky looks like from anywhere in the world. - Supports dynamic device orientation viewing. Allows you to view the night sky whilst holding your iPhone/iPad* at any angle. So point your iPhone/iPad* at the sky and see what's out there! * Augmented Reality mode is available on devices that include a built-in compass. Manual scrolling is supported on all other devices. Star Chart is published by Escape Velocity Ltd and developed by Escapist Games Ltd. We update Star Chart regularly, so please send us your feedback and feature requests to starchart@escapistgames.com. And thanks for all your feedback so far! - Fixed occasional crash when selecting constellations, either from search or by directly tapping on them. - Star Chart now understands that Pluto has 5 moons, not 4. - When running in an English variant other than US English, planet/moon order text was not displaying correctly. This used to be one of my favorite apps-- I've memorized just about every (visible) star in the summer sky thanks to it. When I first downloaded it a little over two years ago, looking at the stars quickly became one of my favorite pastimes. The Messier catalogue and all of the extra information on stars, planets, constellations, etc. is pretty expansive, even without the upgrade packages-- there is a TON of information available, all for free. This app is awesome! I really wish this bug would be fixed-- this is the best feature of the app, in my opinion! The app is still great but definitely not as fun without that feature. 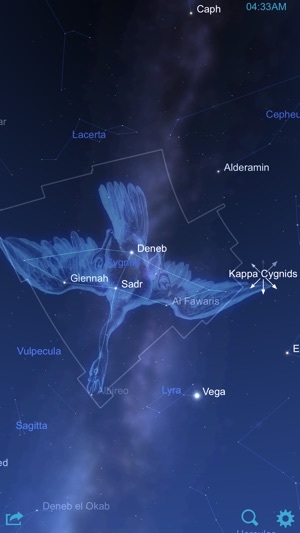 This app has beautiful displays of constellations and stars. The night mode is a nice feature to keep your night vision, with that, the displays go to red on black. 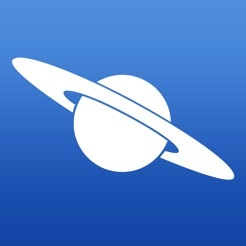 For identifying what stars you see in the night sky, I found this app to be difficult to use. First, it could not use my iPad's GPS to identify my exact location, so I had to set that manually, and the closest I could set it was about 50 miles away. You can only set it on population centers, which of course, are not good for star gazing because of the ground light. Second, you point it at a section of sky, and it shows you the stars and constellations in that section of sky, but of course, you have now blocked your view of the sky in that location, so you have to do this up and down movement trying to match what you see on the iPad to what you see in the sky. It does not use your device's camera to actually view stars as Sky View Free does. Finally, the most annoying feature of this app is it is constantly offering you further information and when you click on that offer it says, "You have to upgrade for that information, that will be $9.95". 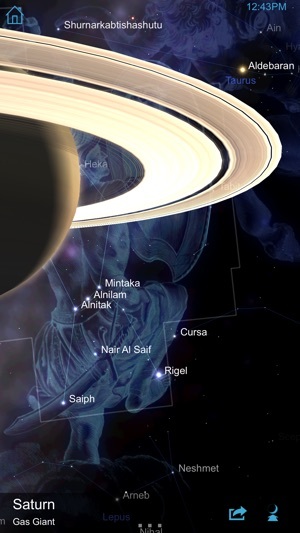 Sky View Free is a better free app for occasional star gazing. 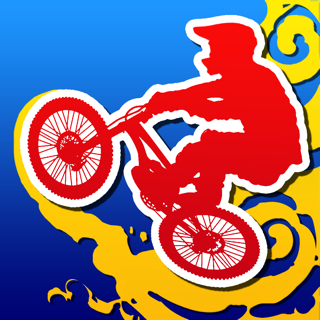 This is one of those app's that you know you got your money's worth and a lot more!! It gives you so much information about the heavens above, I really like being able to identify the constellations and the planets and being able to read the information about them, really great stuff. Another nice thing is that you can have it let you know of up and coming celestial events such as meteor shower, it'll let you know the where and when of the event. It'll tell you about planet conjunctions and so much more!!!!!!! 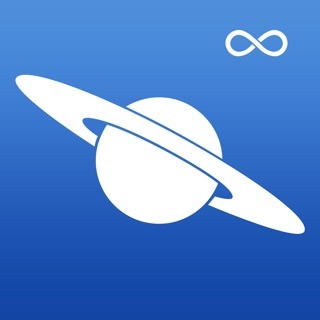 If your looking for an app about the sky's this is the one you want, I've showed this app to friends and family and once I have it's not very long or it's right then that they're downloading it to their devices. Get it so you can show off your knowledge of the night sky's. It even shows you what's in the sky on the other side of the Earth!!!! !